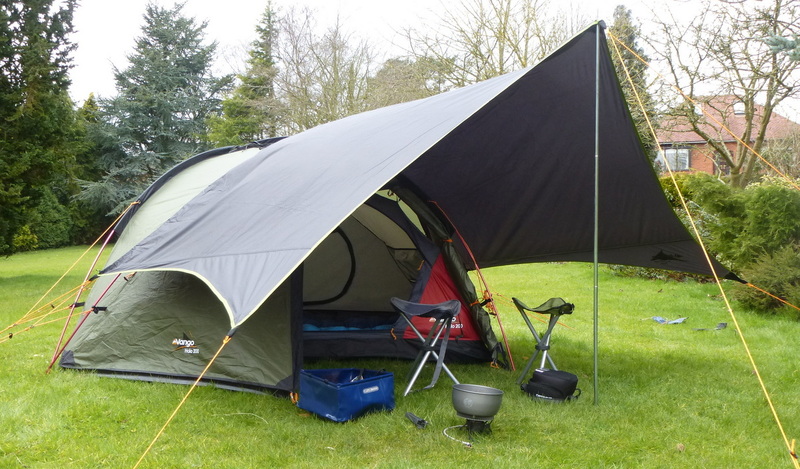 We have a small tent (Vango Halo 2-man) and use a Vango ‘Adventure Tarp’ when it’s raining, both in stealthy green/black colours. 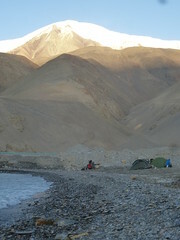 We’ve got down sleeping bags with cotton liners and thermarest inflatable camp “mattresses” to keep us warm at night. Our best buy was a small sheet tarpaulin that we use as an extra groundsheet to protect the bottom of the tent as we’re rarely on flat grass! The 3-legged stools are life savers and don’t weigh too much really. For cooking we’ve got a Optimus Nova ‘multifuel’ stove. It’s designed to be run on kerosene/paraffin or ‘white gas’, but that’s impossible to source, so we use a 50:50 mix of petrol and diesel which seems pretty similar to kerosene and works fine. It costs about 70pence to fill up our 750ml fuel bottle which lasts about a week…. Brilliant. 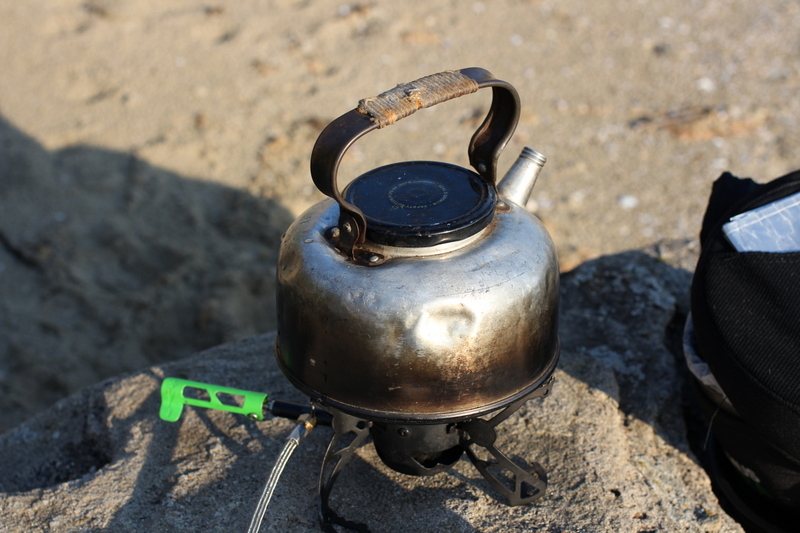 Optimus also sell a 3-pot set that the stove fits into very neatly and we’ve brought our vintage Trangia kettle (with jam-jar lid) as used on camping trips at home. The stove is quite easy to use and doesn’t make the pots too sooty, however the on/off valve got blocked after a months use, it was easy to strip and clean with the supplied multi-tool and a a piece of grass (we’ve now got a piece of copper electrical wire for routine maintenance), however, dinner was ruined that night! Postscript: we’ve now perfected the art of running our stove on neat petrol.. much better!